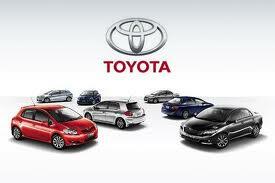 Toyota Motor Company research paper and business case study. This is a business research paper topic suggestion on the Toyota Motor Company. It will explore whether the Toyota company is a good investment. People from every corner of the globe recognize the brand name Toyota. Arising from the humblest circumstances, the company successfully surmounted sizable obstacles to achieve its status as one of the most successful and well-known companies in the world. The recent introduction of the highly successful Lexus luxury line paired with the consistent achievement of industry acclaim and record-breaking sales garnered by the Camry sedan appeared to have guaranteed the company a prominent place along side an elite group of seemingly invincible international corporations. However, despite the high level of success garnered by Toyota Motor Corporation in past decades, industry analysts continue to question the scope of the company’s staying power and resiliency in the midst of a potentially devastating environment produced by such factors as the Asian financial crisis and the heightening competition from the U.S. automotive industry. In this paper, I will present a thorough overview of the Toyota Motor Corporation. The components of my investigation will include a company history, a review of the full line of products offered by Toyota, and a detailed description of the company’s marketing strategies, channels of distribution, and pricing policies. Brief history and description of the Toyota Motor Company – background, primary product/service offerings, customers, business sector(s), etc. Report on the strengths and weaknesses of any financial trends of the Toyota Motor Company. The Toyota Motor Company’s competitors – who are they, size, background, etc. The Toyota Motor Company’s industry – what are trends in this industry? Based on your research, where do you think the Toyota Motor Company is going to be in three to five years? To help answer this question you need to know the company as well as the industry. Make sue you provide and support the assumptions used to project the company’s future. Recommendations – Why you are recommending your client invest in the Toyota Motor Company? Technology in the Automobile Industry research papers look at safety, technology and how technology has helped cars drive safer. Advertising Industry - In an Advertising Industry project, critiques an advertisement on its design and placement. Global Supply Chain Management - Global Supply Chain Management Research Papers delve into a sample of an order placed for a project with specific structure when completing the project. Economic Growth - Research papers on economic growth discuss the concept that refers to an increase from one designated time period to another in an economy’s ability to produce a variety of goods and services. Characteristics of Henry Ford - Characteristics of Henry Ford Research Papers on leadership for Business and MBA students. Ford and General Motors - Ford and General Motors research papers discuss the past, present and projected uses of electronic commerce in the automotive industry. Henry Ford - Henry Ford research papers are biographies of the visionary for Business and MBA research papers. The First Henry Ford - The First Henry Ford research papers review the book by Anne Jardin on the famous inventor of the automobile. Paper Masters writes custom research papers on Toyota Motor Company and examine and provide the history, financial analysis and SWOT analysis of Toyota.